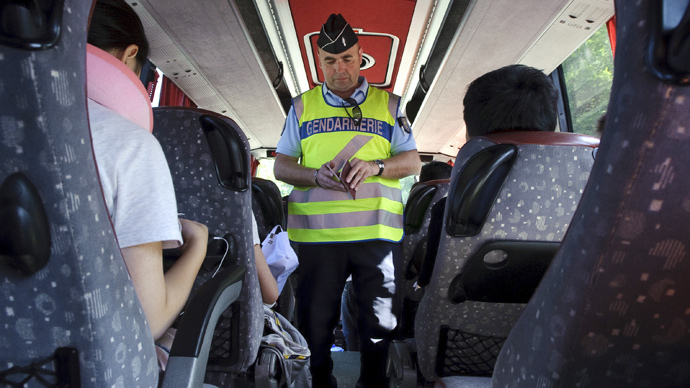 Six French citizens who were planning to travel to Syria have had their passports confiscated. It’s the first time it’s happened since new counter-terrorism laws were introduced to stop French nationals joining militant groups in the Middle East. Another 40 similar cases are currently under investigation, Interior Minister Bernard Cazeneuve said on Monday. The six alleged jihadists were about to leave, security sources told AFP, adding their passports and identity cards have been taken away for six months, though this time period can be extended if deemed necessary. The ability to seize passports and identity cards of those suspected of traveling abroad to join militant groups was passed in November as part of an anti-terrorism bill. "Today, six administrative bans on leaving the country have been signed, another 40 are in preparation," Cazeneuve told reporters outside the Interior Ministry. "We wanted this measure ... because if French people leave to commit actions in Iraq and Syria, upon their return they represent an even greater danger for the national territory and risk committing wide-scale terrorist acts." The French government believes around 1,400 French citizens have links to recruitment cells set up by militant Islamist groups in Syria and Iraq, while around 400 people have already traveled to the Middle East to fight for groups such as the Islamic State. French Prime Minister Manuel Valls said, “There will be more” people who will have their passports confiscated. France has been on high alert following terrorist attacks in Paris in January, which left 17 people dead. The country has a large Muslim population, and a number of Muslims worldwide were angered by the French satirical magazine Charlie Hebdo’s decision to publish cartoons of the Prophet Mohammed, considered blasphemy in Islam. A video showed a masked individual surrounded by armed fighters calling on French Muslims to take up the cause for the creation of an “Islamic caliphate,” which has taken root in parts of Iraq and Syria. The group is also demanding that the French government release suspected jihadists detained for participating in the fighting in the Middle East. Meanwhile, Al-Qaeda in Yemen, who claimed to have carried out the Paris terror attacks said France has surpassed the US to become Islam’s main enemy.